Free tuition in UP Diliman in upcoming semester - Balita Boss! University of the Philippines (UP) Diliman chancellor Michael Tan announced on Tuesday, July 11 that the state university will not collect tuition from students for the first semester of academic year 2017-2018 until the government is clear about their plan on the subsidy the students will get and who are qualified for this program. Jose Dalisay Jr, UP vice president for public affairs also stated that the UP administration is still studying the best way of implementing the tuition-free policy and all its benefits. The free tuition program is from the Commission on Higher Education (CHED) and the Department of Budget and Management (DBM)’s issuance of a joint memorandum that implements grant of free tuition in SUCs nationwide, thus, covering "all Filipino students enrolling in undergraduate course programs in SUCs for the academic year 2017-2018, subject to the prioritization directive of the President and the availability of funds in the Higher Education Support Fund (HESF)." 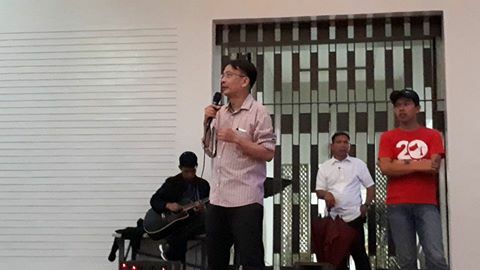 Lastly, UP vice president for public affairs reminded students wishing to avail the free tuition fee, to comply for the announced guidelines of CHED and DBM which includes the submission of the students’ proper documents.